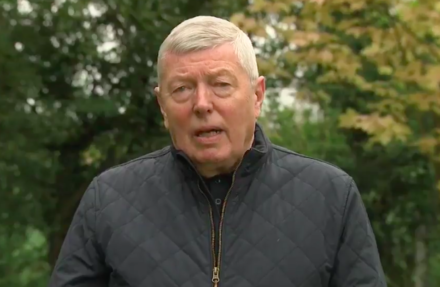 Labour must not be “complacent” about winning trust from working-class communities, Alan Johnson said today as he set out the “acid-test” of whether voters want Jeremy Corbyn to be prime minister. Johnson, the former home secretary, resisted a series of overtures to stand for the leadership over the last decade and is stepping down from parliament at the election. He warned Labour against losing support from working class communities. “”We must never be blasé and complacent about the trust” from working class people, he said. “The leader of the Labour party, unlike some of the smaller parties and other parties, people judge them on do I want that person to be prime minister and that’s what Jeremy has got to show in the run up to June 8,” he added. “That’s the acid test, that’s what he has to demonstrate, not just to hundreds of supporters at rallies in safe Labour territory, we have to win Stevenage, we have to win the Milton Keynes seats, we have to win those seats we have to if we are going to be a party of government and we are a party of government, that’s what we were created for so he has to, he has to prove that,” Johnson said on Sky’s Sophy Ridge on Sunday. “We are already 15 per cent poorer because of the pound’s devaluation so actually treating the electorate as if they are too infantile to understand that at some stage you may need to put up taxes to deal with these problems, whether it’s in the NHS or whether it’s in adult social care or anywhere else. “So I’m glad that we are being clear about this and not just going in like Trappist monks on tax and saying everything will be fine and we won’t raise any taxes.